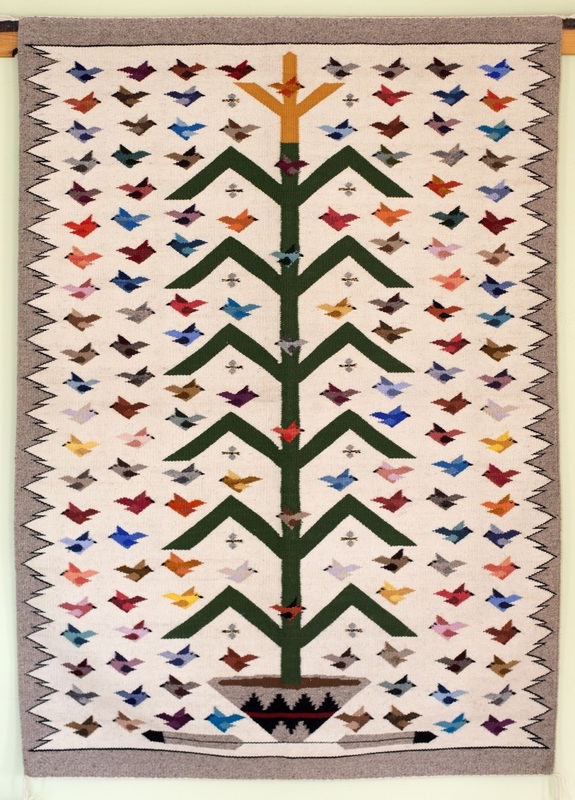 The Tree of Life is a pattern that is centuries old. 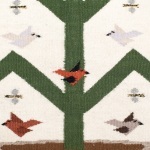 It is seen in The Navajo as well as other weaving cultures. 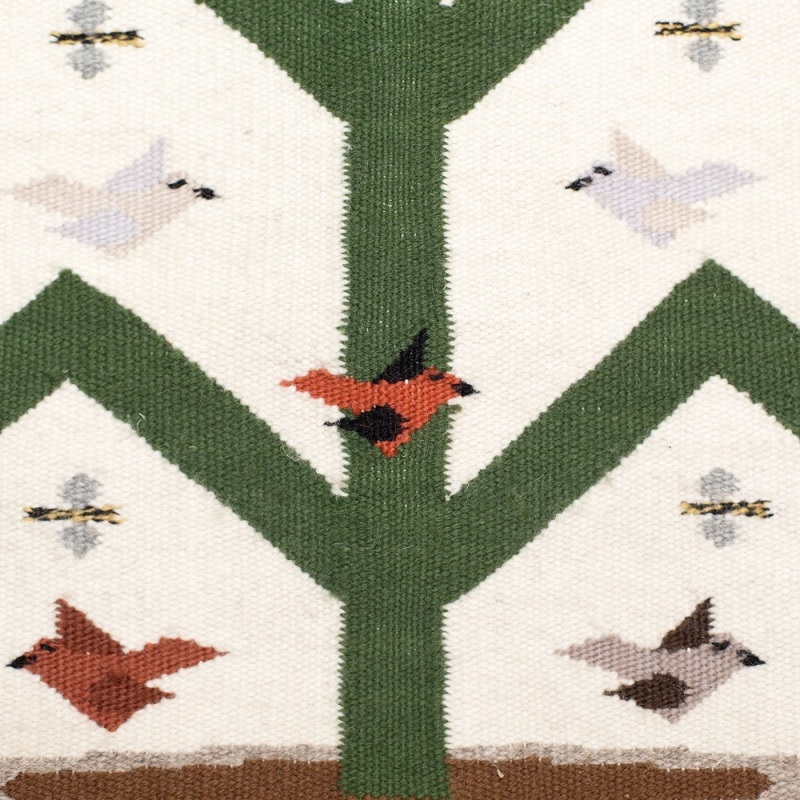 In the Navajo version, there are always birds, a corn stalk, and a ceremonial basket. The basket is filled with sacred corn meal with the "Tree of Life" growing from the center. 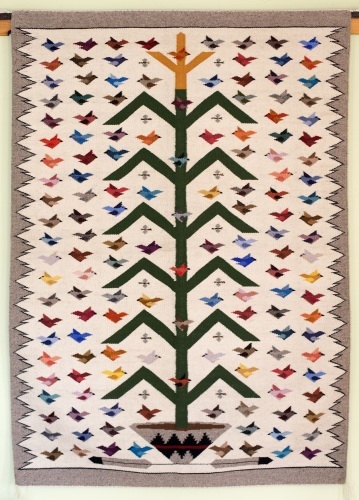 This is a bright, cheery piece expertly woven in the 1990's.